Finding a great vegan spot can honestly be one of the hardest things in life. There are a lot of factors that feed into a great spot– good food, affordable prices, nice atmosphere and kind employees. So to find a place that features all of these qualities is one that is worth a visit! Anna in the Raw is that spot. With a menu full of vegan delicacies and an endearing interior, it’s not hard to see why locals love the downtown Cleveland cafe so much. Anna Harouvis has been surrounded by food her entire life starting with her Greek grandmother who taught her all of the family recipes to her father who owned the former downtown restaurant London Bar and Grill she has learned the ups and downs of the food trade and truly mastered her craft. She is very knowledgeable when it comes to vegan dishes, cleanses and so much more. She works in the cafe herself and customers love that she is always around to answer any questions on the topic of good food. On the Anna in the Raw website, there is even a section where she gives her best tips on how to cleanse. Fans point to the wraps and smoothies as their go-tos. Some of the most popular wraps are the “Chicken Avocado Wrap,” “Kung Pao Tofu Salad Wrap” and the “Curry Tofu Wrap.” As you can tell, the choices available are all very original in addition to be super nutritious. Both downtown locals and business workers find themselves migrating into the shop for a light lunch during the week. 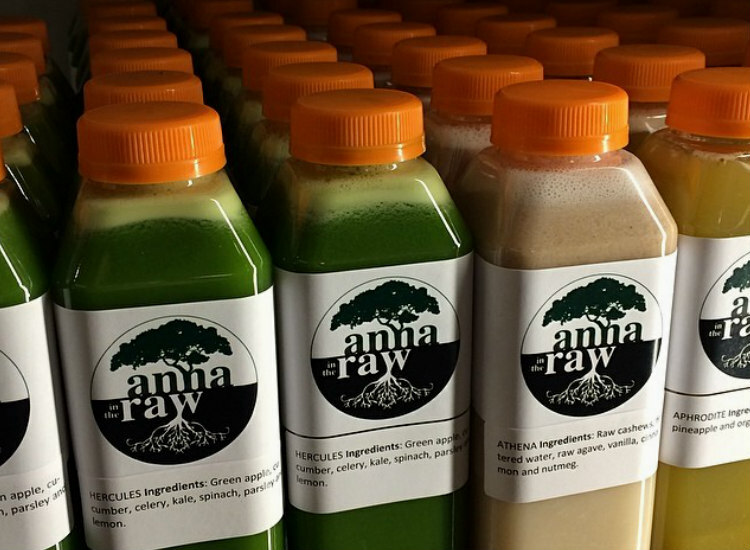 A large part of the appeal of Anna in the Raw are the juices. People have come from all over and been impressed by Anna’s work and her expertise. 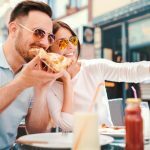 Many also mentioned that they really appreciate that she takes the time and really explains the juice plans to you and helps you understand how to start and stick with a juice cleanse. If you have a tiny bit of a sweet tooth after your ultra-healthy meal, Anna also makes her own macaroons. They are adorably called, “Anna’s over the moon Macaroons.” These are the perfect addition to a wrap for a well-rounded lunch. A notable Anna in the Raw fan is Cleveland Cavaliers’ forward Lebron James. Ever since Anna opened a cafe in the downtown IMG building (the same building that houses James’ marketing company) he’s been hooked. He even got the Cavs to work with Anna and have her develop an entire line of juices for them! One of the only downsides is that the location is closed on the weekends and is only open 7:30 am to 4 pm Monday through Friday. 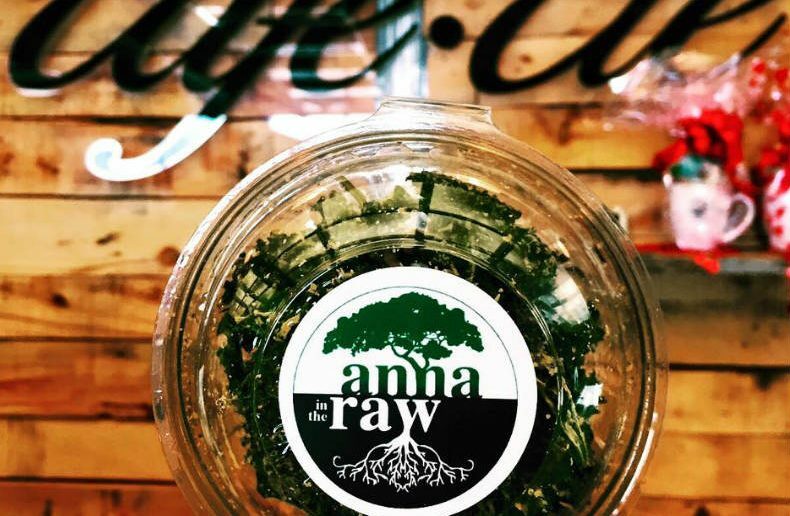 It is well worth squeezing a lunch at Anna in the Raw into your schedule especially if you’re looking for a place where you can really get to know the employees (or the owner, in this case!) and ask them about their favorites and their recommendations. Anna really makes all her customers feel like friends and manages to find exactly what they are craving. Stop in at the downtown location at 1360 E 9th St, Lobby of IMG Building, Cleveland, OH 44114. Call the restaurant at: (216) 623-7220 or visit their website. Check out more Fun Things To Do In Downtown Cleveland Ohio.